More than 150 exhibitors from 30 countries to participate at Kenya’s biggest international multi sector trade exhibition. The 21st edition of the Kenya International Trade Exhibition (KITE) will take place at the Kenyatta International Convention Centre (KICC) in Nairobi from 03 - 05 October, 2019. The event is to create the supreme juncture for local trade visitors to cooperate and source the latest products and innovations directly from more than 150 exhibitors. Various decision makers will associate, discover and display their most recent goods from across the globe. “With increase in purchasing power and progress in the consumer market, there has been a tremendous increase in Kenya’s GDP, thus rising opportunities in a variety of sectors.” Says Mr. Daniels, Exhibition Manager – Expogroup. Keeping in mind some of the fastest growing sectors within the consumer market, KITE will also include four distinct sub sectors: FOODAGRO, PPPEXPO, MEDEXPO and DENTEXPO. 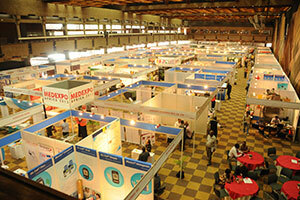 Since 21 years Expogroup has been a pioneer in the East Africa in trade show industry. All these Expogroup has versioned KITE as the most awaited and consistently participated events by consumer in East Africa. It’s a vision brought to reality by bringing in enormous number of visitors, renowned industries and experts, stake-holders, CEO’s and other prestigious decision makers. The 20th edition of the Kenya International Trade Exhibition (KITE) will take place at the Kenyatta International Convention Centre (KICC) in Nairobi from 2nd - 4th June, 2017. The event will provide a platform for over 12000 trade visitors to interact and source directly from more than 150 exhibitors, showcasing the very latest in consumer goods from all across the globe. “Kenya’s consumer market is poised for considerable expansion in the coming years, boosted by consistent GDP growth, a growing middle class with increased purchasing power and development of new shopping malls and e-commerce portals.” says Mr. Trindade, Exhibition Manager - Expogroup. Keeping in mind some of the fastest growing sectors within the consumer market, KITE will also include four distinct sub sectors: FOODAGRO, PPPEXPO, MEDEXPO and INDUSMACH. Expogroup has been a pioneer in the trade show industry in East Africa for the last 20 years. Since its inception, Expogroup has envisioned KITE to evolve as one of the most eagerly awaited and consistently participated consumer trade events in Africa. Through committed endeavour and a no-compromise attitude to service, the company has brought this vision to reality. East Africa: Getting exhibitors on board is always considered a milestone, but at the Kenya International Trade Exhibition, it is a milestone crossed often. Expogroup are in the process of bringing together prominent exhibitors that force you to sit up and take notice, as much at the meritorious line-up as at the regularity of the announcements. As the fair draws closer, the exhibitors –just like the excitement and anticipation- keeps on increasing. The Kenya International Trade Exhibition will be held from the 16th -18th June 2017 at KICC, Nairobi, Kenya. Its specter will resonate across the globe. With exhibitors hailing from several parts of the globe, the fair has truly become a global phenomenon. Now in its 20th edition, the fair will once again serve as a crossroads for Consumer companies around the world. For a roster that already includes the crème de la crème of the consumer industry, the trade events have been relentless in its pursuit of achieving consumer industry versatility; signing a spate of exhibitors. The trade events have been receiving acknowledgement from the consumer community not only in Africa, but across the world; exhibitors from across the world from previous editions stand testimony to that. The fair might be a few months away, but that hasn’t hampered companies from rekindling their association with Expogroup. Not forgetting the collaboration with several regional trade bodies in Kenya, Tanzania, Ethiopia, Uganda, Somalia, Mozambique & Congo. Expogroup provides a fulfilling experience not only for the visitors, but for the exhibitors too. International Exhibitors have found many interesting new clients and also representation in Africa , which gives them the opportunity to build on top of that and continue their path to growth and expand in the market. As the build-up to the fair gains momentum, it is already discernible that the upcoming 20th edition of KITE, like its predecessors, will be a memorable one.